You may also need to change your facial cleanser or other products. Since you skin’s needs are different with the seasons, you may need to change your products with the seasons as well. Consider moving from your glycolic cleanser to a gentler one, or one which also moisturizes or hydrates. You may also add a hydrating product to your antioxidants. I highly recommend the award-winning HA5 from SkinMedica. Feel free to play around with things. For instance, if you head to Colorado to ski, know that it may be colder and more arid than your skin is used to, so alter your skin care plan during your trip. While long hot showers are out, a soak in a warm tub can be great, especially if you add something to the bath water. If you have a lot of itching and irritation, try an oatmeal bath. Baking soda can also work. If you are looking for some added moisture, add a couple tablespoons of olive oil, just be careful getting out of the tub. You can even use olive oil and oatmeal together (but I would leave out the balsamic vinegar…just saying). Winter is also the most popular time for a relaxing Hydrafacial MD procedure in our office. Your skin will soak it up. You still need your sunscreen even in the winter. Even though the days are shorter and we are all looking for sun to cure our affective seasonal disorder, the sun’s rays can still damage your skin. One of the easiest ways to remember to wear your sunscreen is to use a skin care product or makeup with sunscreen in it. If you’re heading up to the mountains to ski or down to the Caribbean to escape the cold, you’ll need a more high-test sunscreen, and remember to reapply it often. PS: Be on the lookout for the fifth edition of our magazine Your Beauty, which should hit the stands mid-January. To make sure you get your free copy when it comes out, just fill out the form here and we’ll pop it in the mail to you right away. 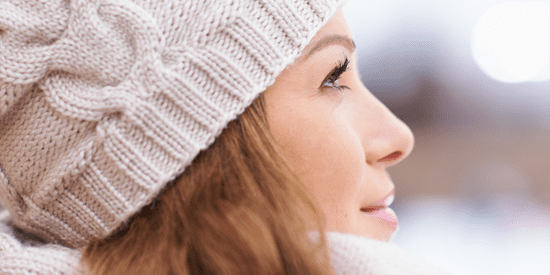 This blog was originally written by Dr. Reath in November 2012 and has been updated with our new favorite products for winter skin. So nice blog..i have read blog, thanks to sharing great information.